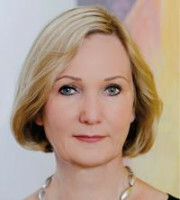 Heike Vogelsang-Wenke joined Grünecker in 1987 and co-heads its biotech department. Grünecker is among the largest IP law firms in Europe, with more than 100 attorneys. The firm has its headquarters in Munich and branch offices in Berlin, Cologne and Paris. Ms Vogelsang-Wenke has a strong background in biotechnology – with diplomas in both chemistry and biology – and holds a PhD in molecular biology. She has built up extensive experience drafting and prosecuting patent applications before the European and German Patent Offices. Her practice focuses on opposition and appeal proceedings and she routinely represents patentees and opponents in multi-party proceedings. Her practice also includes representing clients in invalidation proceedings before the German Federal Patent Court and the Supreme Court, as well as in infringement proceedings before the competent German district and appeal courts. Ms Vogelsang-Wenke’s main technical expertise is in pharmaceutical chemistry, biochemistry, immunology, virology and general recombinant DNA technology. Ms Vogelsang-Wenke is a member of the German Association for the Protection of Intellectual Property, the Licensing Executives Society, the International Federation of Intellectual Property Attorneys and the German Society for Biochemistry and Molecular Biology. She has been a board member of the Association of German Patent Attorneys since 2004 and a council member of the European Patent Institute since 2011. She was elected vice president of the European Patent Institute in 2017 and her focus in this role is on legal developments in the European IP landscape. She was named an IP Star and a recommended individual by Managing Intellectual Property (2016) and a recommended individual by both the IAM Patent 1000 (2016 and 2017) and JUVE (2016 and 2017).